Kidzlife Curriculum is for any Children's Ministry that values kids knowing the true heart of God. KidzLife has a 6-year cycle of curriculum for KingdomKidz (K-5th), 2 years for BigKidz (3-4 yr. olds) and 1 year for Kiddoz (2 yr. olds). We originally designed KidzLife as a Wednesday night program. However, it is easily adaptable for Sunday mornings. Our journals were written to mirror the teachings of Jesus and the way He asked questions. Rarely did Jesus ask a question like, “How many disciples were in the boat?” That is academic; the goal is application. Rather, His questions were more open-ended and along the lines of, “When do you feel afraid?” These journals dig deep to provide lasting transformation and learning. 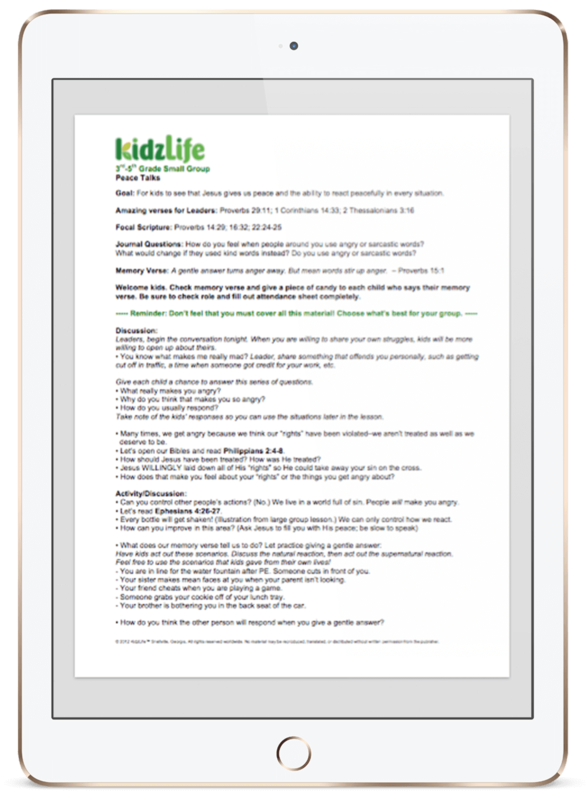 KidzLife Journals are highly interactive using 3D, glow-in-the-dark, disappearing ink and cater to unique age groups (K-2nd) and (3rd-5th). They also feature key scriptures to look up and read along with each week’s memory verse. Here at KidzLife, we wanted to capitalize on the way God wired our brains to help kids hide God’s word deep down in their core. That’s why we took the time and energy to create original songs for the memory verses that go with our curriculum. A variety of music styles that would rival what is popular on the radio–pop, rock, country, even a little rap. Word-for-word Scripture, with no additional words, except maybe an occasional yeah or oooh. Verses in a version that kids understand. References incorporated into the song, so kids remember where to find the verses in the future. Professional quality production kept at a very affordable price for parents. 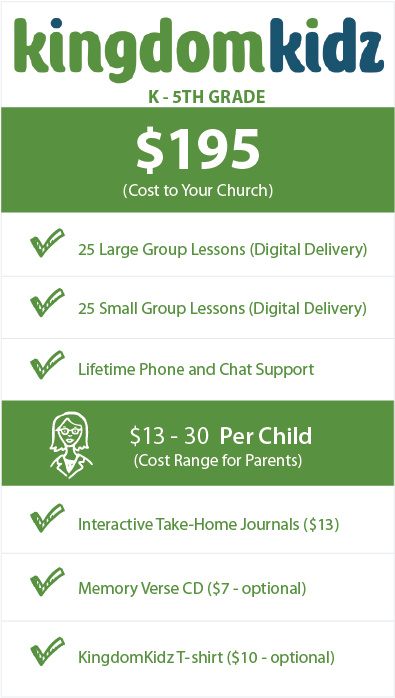 $195 or less for 25 weeks, no matter how many kids.